When you need automotive repair in Exeter, NH, you can trust the skilled team at Graham Tire & Auto. As one of the leading service centers in the region, we're proud to care for the cars, trucks, and SUVs of our customers. If you live in Exter, Hampton, or Epping, NH and need a partner in auto repair or automotive service, give us a call today. We'd be happy to get your vehicle in for an appointment so that you can get back on the road again safely. Looking for brake repairs, exhaust system work, or a wheel alignment? 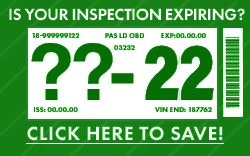 Want a great deal on an oil change, new tires, or diesel engine repair? Our mechanics can help. With years of experience and expertise in performing quality car repairs, our team is dedicated to giving you the absolute best in service and workmanship. Stop in to see us when you need an auto repair shop you can trust. In addition to Exeter, we also service the nearby communities of Stratham, Newfields, Brentwood, East Kingston, South Hampton, and Kensington. Call us today to make an appointment at our auto repair shop if you need service, repairs, or an inspection. We'll get you rolling in new tires or give your vehicle the care it needs to run at its best.